Put the potatoes in a large pan of salted water (one teaspoon of salt per 600ml/ pint water). Bring to the boil and simmer until tender. Put 1 cm/½ inch of water into a large pan and bring to the boil. Add half a teaspoon of salt and the cabbage and cook over a vigorous heat for 4-5 minutes, until just tender. 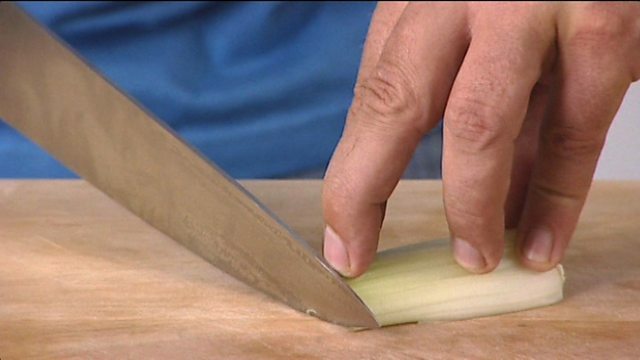 Using the same pan, melt the butter, then add the leek or onion and cook gently for 7-8 minutes, or until softened but still translucent. Pass the potatoes through a potato ricer (if you do not have one you can use a masher) into the pan and add the cabbage, milk and white pepper to taste. Mix together well. Heat a frying pan until hot and add the bacon and fry until crisp. Add the bacon to the potato mix and form into four patties. Heat the frying pan. Place patties in the hot pan and cook for 2-3 minutes, or until golden brown, then flip and cook for another 2-3 minutes. Meanwhile, bring a pan of salted water to the boil and add the vinegar. Whisk the water to create a whirlpool and once settled, crack an egg in. 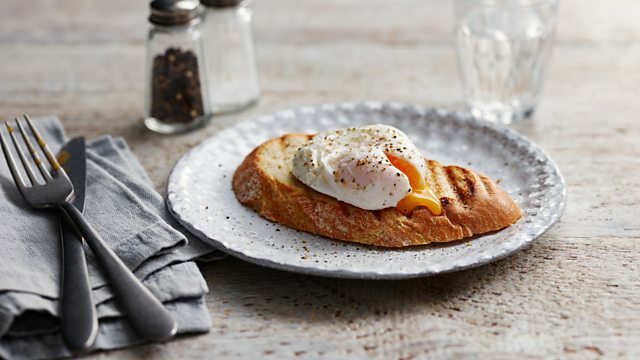 Simmer for 2-3 minutes, remove the poached egg carefully with a slotted spoon and place on a plate to drain. Repeat the process with the remaining eggs. To serve, place the bubble and squeak on a plate and top with the eggs and a spoonful of hollandaise sauce.